You are here: Home / Firm News / Is it Time for Your Business to Pivot? 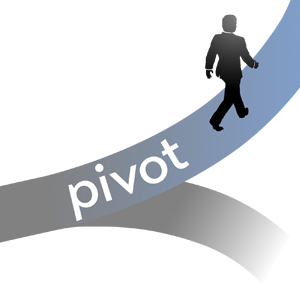 To pivot is to turn your business around to adapt to changing technologies, market demands, or just a better idea. The pivot can be hard to recognize by those closest to the company, and may be much easier to appreciate after the fact. Although the startup technology sector has given us the most vivid examples of pivoting at the right time, the concept of pivoting can apply to any industry and at any stage in the life cycle of an enterprise. Remember to periodically check in with employees, customers, and the market, to evaluate the perception and success of your company for long-term success. Read more of this article here, written by KPPB LAW’s founding partner and corporate attorney, Sonjui Kumar.